Changing times means rethinking the way business is done. Editor's note: This select print feature is scheduled to appear in the June 2016 issue of DS News. Conventional logic suggests that the mortgage industry is in real trouble because of its age. But while there may indeed be an age-centric issue to face down, mortgages companies are facing nothing unique. Baby boomers are at (and past) retirement age in all fields. On the other hand, it would be a mistake to only think of the future in terms of pure replenishment. As the mortgage industry evolves to meet the changing demographics of workers (and, just as importantly, borrowers), the shifting demands of customer service and product and information delivery, and the increasing opportunities and realities inherent to regulations and technological development, we’re not going to need to replace outgoing industry professionals one-for-one in the same capacities with younger professionals. For the moment, though, let’s look at this only on the surface. Are there fewer loan writers and product developers in 2016 than there were in 2006? Well, yes. When the recession hit, the number of people able to walk off the street and into a job writing loans plummeted with the rest of the economy. But were these suddenly unemployed professionals people who needed to go? Well, yes. 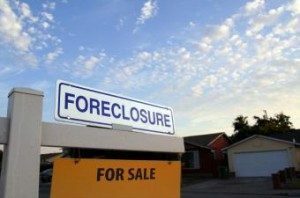 See, 10 to 15 years ago, the mortgage industry was in the wild and wooly 2000s; a time of freewheeling, subprime-friendly lenders eager to rake in the absolute acres of cash available to mortgage writers and brokers who traded in commission-heavy deals that, it would soon turn out, bankrupt many thousands of their clients. Predictably, the mortgage industry crashed. 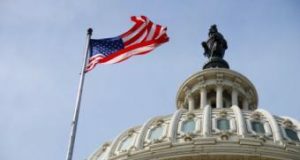 Major lending houses, from Washington Mutual to Countrywide, went under, and the survivors were, practically overnight, handed sweeping new reform policies that put regulatory chokeholds on what they could offer and who they could offer it to. 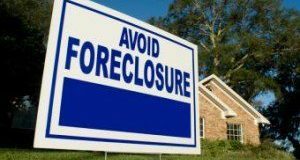 The result was fewer jobs in the areas of mortgage writing and brokerage. But as it’s turned out, that was a good thing. Gone are shifty lenders with snake oil deals. The survivors, he says, are those who never wrote bad loans in their lives. So while in sheer quantity, there’s a huge drop, there is a marked uptick in quantity among mortgage professionals now. In other words, a pure brain drain is not quite what is going on. “It’s more of a changing of the guard,” says Eric Chader, senior vice president at The Collingwood Group. 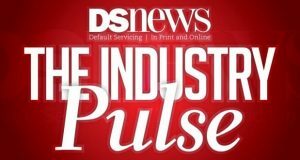 The mortgage industry, Chader says, is in transition, mostly affected by compliance and the technology needed to stay up with the regulations. Fintech in particular, he says, seems to be the logical direction‒‒which is good, because it plays right into the hands of the younger people, a.k.a. millennials, who are going to make up the vast bulk of the not-too-distant-future’s financial professionals and mortgage buyers. See, the thing about the recession is that it was largely the outcrop of the legacy stuff, Chader says; the way mortgages were developed, packaged, pitched, and sold. But these legacy matters are no longer in play the way they used to be. On the product side, this has actually led to an unlikely advantage‒‒because everyone is so reticent to issue bad credit, whether because of regulation or having learned an agonizing lesson, there are not a lot of new products out there. In other words, there is the twin benefit of lower risk profile and fewer seats that need to be filled directly in the first place. While he doesn’t care to prognosticate, Chader leans toward the idea that fintech is a more likely future, especially where millennials are concerned. Fintech, he says, is evolving with the mortgage industry, in part to stay ahead of compliance requirements and in part to meet the evolving needs of consumers‒‒who increasingly are going to be millennials. 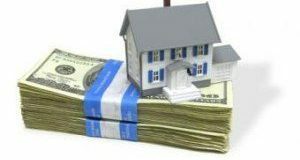 On the compliance side, mortgage companies indeed face a hefty (and usually expensive) cost to comply. But on the plus side, Chader says, it’s creating opportunities, especially for the tech-savvy young. In fact, more than he’s seen an exodus from the industry, he’s seen a shift towards compliance as a career path, particularly among seasoned veterans who are helping to ethically rewire an industry that gave itself the two biggest black eyes imaginable. The challenge, of course, is getting young professionals interested in a field that they, rather understandably, don’t quite trust. Millennials, being like all other young people throughout history, are idealistic. They want to feel like they’re doing something fulfilling, something that matters, something that helps. 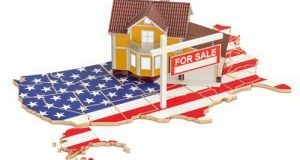 Fortunately for the industry, he says, it’s in a good spot to show people that it’s learned its lesson, and that at their core, mortgage professionals have the opportunity to help people actually find home. The customer service aspect is important to understand. Yes, there are fewer loan originators today compared to a decade ago, but there is significant overlap between loan originators and compliance professionals. Jones, in fact, sees little distinction, and indeed says that originators who know compliance hold a great advantage. This is particularly true when factoring in millennial borrowers, who don’t really care about how they get info as much as they care that it’s good info, he says. If it’s the front-desk person giving the borrower all the news, so be it. They’re the face of the lender, after all, and they need to know compliance anyway these days. Indeed, it appears that the biggest shift in the field centers on the consumer side. In sheer dollars, and depending on which source you believe, millennial spending overall amounts to between $200 billion and $600 billion a year, and is expected to break the $1 trillion-per-year mark by 2020. What this means for the mortgage industry is a particularly succulent ripeness for disruption, something millennials are rather good at. Millennials, Jones says, simply don’t do things the way older generations have done them. They use technology for everything from finding food to paying for loans; they value real-time experiences and 24/7 access to information as much as they embrace flexibility in the workplace. These characteristics have already propelled mobile technology forward at the speed of texting, and the results have shaken countless venerable old institutions that realize they need to keep up or die. 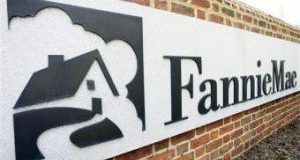 Banks, which obviously have a big fat stake in the mortgage process, are particularly vulnerable, according to the Millennial Disruption Index, a 2014 document that in no uncertain terms shows that millennials don’t like or even feel they need banks. Mortgage companies, therefore, need to be able to talk to millennials and give them what they want. So far, the old-school model of the mortgage process is batting a pretty low average for younger people. Earlier this year, PriceWaterhouseCoopers released the Consumer Lending Experience Radar 2015 report, which looked at how different generations feel about different stages of acquiring a loan. For Jones, this report signifies a need to get into millennial hearts and minds by making the process easier, friendlier, and more tech-driven. Rocket Mortgage, QuickenLoans’ mobile-tech-friendly mortgage application program that may best be described via its slogan, “Push button, get mortgage,” is a wonderful example of what speaks to millennial borrowers, he says: a streamlined application process that still plays by the rules and allows borrowers to get things done while they live their lives. Such disruptive thinking is a hallmark for millennials, and will spur growth in the mortgage industry, Jones says. In some cases, companies will grow their ranks by being able to tap into new technologies and, thereby, attract younger professionals who incorporate the rules and technology and use the amalgamation to speak the language of millennial consumers. 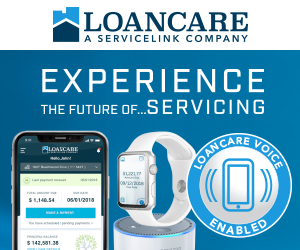 Also, it could grow simply by creating new service-related companies, which are already forging a kind of cottage industry around customer service and making the loan process simpler. In other words, there appears to be little actual brainpower being drained, even if the industry has been reconfigured.